horse-events is since 2014 an independent company, and provides all horse lovers an Internet platform with information and Services. Moreover, Horse Events GmbH is a full-service provider for services at Equestrian events. We offer all the organizers who use our services the opportunity to put online your show informations, such as start times and results. 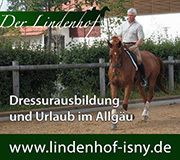 On our homepage you will find also a newly overview of almost all equestrian shows in Austria. Each show is characterized with the logo of the respective showoffice. Appearing on its own operator sites for shows you will directly forwarded to them. The one with the horse-events logo provided shows are serviced directly by our team. We are constantly developing new ideas to horse-events for you to make more informative and to be able to offer even more services to provide and new services.